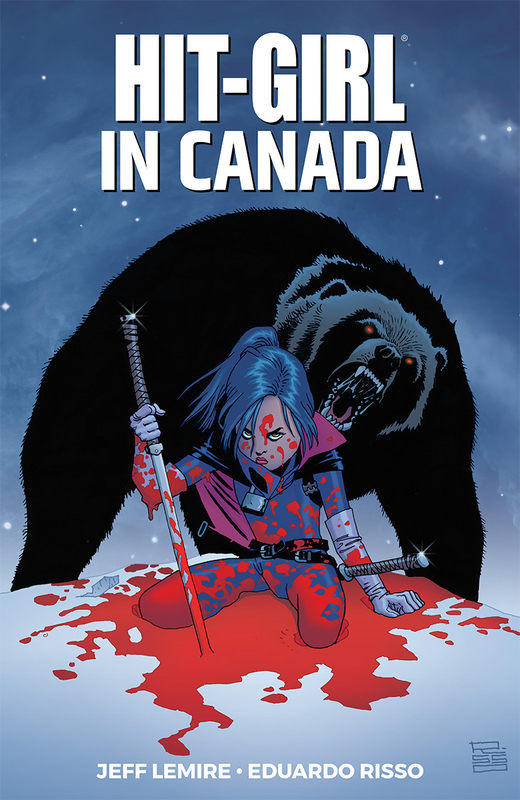 HIT-GIRL'S IN CANADA. Our adolescent assassin is locked, loaded, and ready to seriously mess up some Canadians. JEFF LEMIRE and EDUARDO RISSO take on MARK MILLAR's psychotic 12-year-old Hit-Girl for the next stop on her blood-soaked world tour. No amount of ice, snow, or Mounties will prevent Mindy from slaughtering her latest enemies.